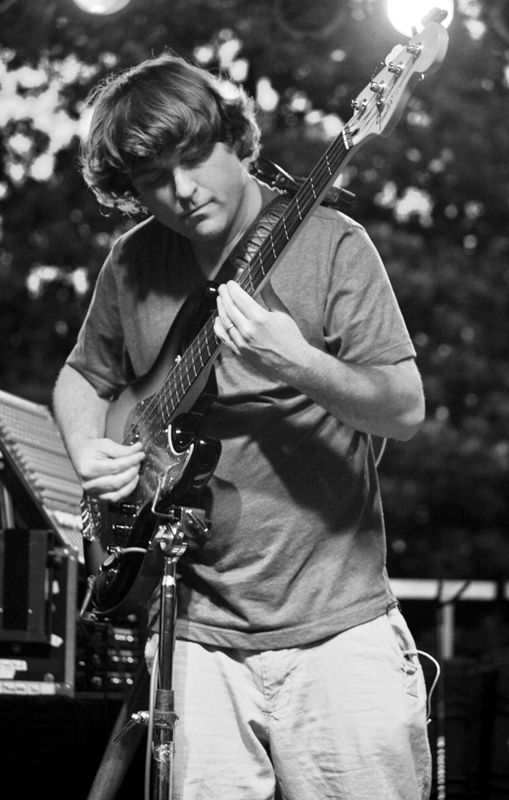 Keller Williams Announces "What the FUNK Tour"
The ever-prolific Keller Williams recently announced a massive winter tour in support of his exciting new release with his latest musical muse, a 6-piece funk band dubbed ‘More Than A Little’. The “What The FUNK Tour” takes Keller and this cast of hard-hitting funk players through major markets throughout the Midwest and West in early 2014. The full list of dates is included below. Funk – the blazing and soulful new album by Keller Williams with More Than A Little - drops on November 12th. The remainder of the 2013 season finds Keller performing solo and in a variety of creative collaborations. Among them, a pair of rare “Keller & His Compadres” shows on December 20-21 in Keystone, Colorado featuring solo looping sets plus pairings with Michael Travis and Michael Kang (The String Cheese Incident) on the 20th and Drew Emmitt and Vince Herman (Leftover Salmon) on the 21st. The “Compadres” tradition started in December 2012 to celebrate the end of the Mayan calendar, but Keller and his enthusiastic community of fans had such a fun weekend that Keller couldn’t resist returning to the Rocky Mountains with his compadres. Tickets and details available at www.kellerwilliams.net. Keller will curate and perform at The Rex Foundation’s Annual Benefit - this year dubbed “Nightfall of Diamonds”- at The Fillmore in San Francisco, CA on December 7th. For this intimate evening of music Keller will play solo and with Tim & Nicki Bluhm, and will also perform a set with his trio Grateful Grass - featuring long time musical friends Jeff Austin (Yonder Mountain String Band) and Keith Moseley (The String Cheese Incident). All proceeds from this night celebrating the legacy of the Grateful Dead will go to The Rex Foundation. On December 26, Keller Williams returns to his hometown of Fredericksburg, VA for his highly anticipated holiday tradition - the 13th annual SPCA Holiday Benefit concert. This year, the festivity moves to downtown Fredericksburg’s intimate Old Silk Mill. Keller will perform an always-favorite solo looping set before being joined for second set - with Keller on bass - by Steve Kimock on guitar and Kimock’s son John Morgan on drums. 100% of the profits from the annual holiday concert will go to support the local branch of the SPCA. To wrap up the year, Keller has announced plans for his always-raging New Year’s Eve bash. The 2013 NYE Run kicks off Friday, December 27th at Mr. Smalls Theater in Millvale, PA, then hits Beachland Ballroom in Cleveland, OH on December 29th, and culminates at Rams Head Live! in Baltimore, MD on the 31st. The New Year’s Eve show will see 3 sets of music from favorite Keller collaborations Keller & The Keels, Keller Williams Solo, and Keller Williams with More Than A Little. Tickets and NYE Hotel Travel packages are currently on sale at www.kellerwilliams.net. Fans still have time to enter the Funk pre-sale contest. Those who pre-order the album by November 11th through Keller’s online merch store will automatically be entered twice into the “Tear the Roof off the Funker” Contest – a chance to win an all expense paid trip for two to see Keller Williams with More Than A Little in New Orleans during the New Orleans Jazz and Heritage Festival. Those who purchase Funk after its release, but before January 1, 2014, will earn one entry to the contest. For the official contest rules and other pertinent info, click here.